To make the nam jim, place all of the ingredients into the base of a food processor or stick blender. Blend until smooth. Lay the lettuce leaves on a serving plate, and top with carrot and nam jim. Place a large frypan over high heat and add the oil. When the pan is very hot, add the scallops. Cook for one minute, before adding the garlic and a pinch of salt. Turn the Scallops, and cook for a further minute before removing the Scallops from the pan. 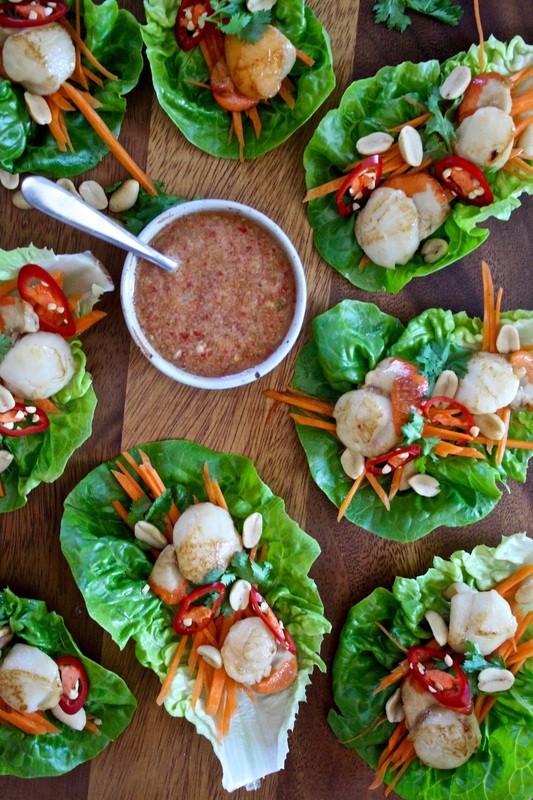 To serve, top the lettuce cups with scallops and peanuts.